Gipsy Spares will not close down! Anything concerning the Austin Gipsy is what we do here at Gipsy Spares. Rebuilding, selling, buying and repairing. Most parts for the petrol engine are available like pistons, rings, gaskets and even complete new heads. We sell and buy all Gipsies whatever the condition and spares new or used! If you have any questions or looking for a specific part, feel free to contact us! Under new management we will continue trading in spare parts for the Austin Gipsy. The difference is that all parts are new old stock or good imitation. Nearly all used parts are sold, in the future we will only deal in new parts. We have moved to new premises and have a separate office now. We should be able to serve you better from now on! If you have a problem with your Gipsy, do not hesitate to contact the Gipsy experts! 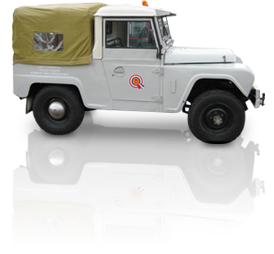 Gipsy Spares is a company specializing in classic 4×4 vehicles. Buying, selling, rebuilding and even searching for complete vehicles or spare parts. Gipsy Spares is the address for Austin Gipsy. We will send parts or vehicles world wide for a very competitive price. Also we specialize in spare parts for the BMC Diesel engines 2.2 and 2.5. 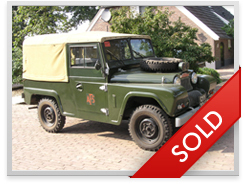 We can also supply you with most new or used accessories for those classics 4×4 vehicles. If you have a problem just contact us and we will try to help you. 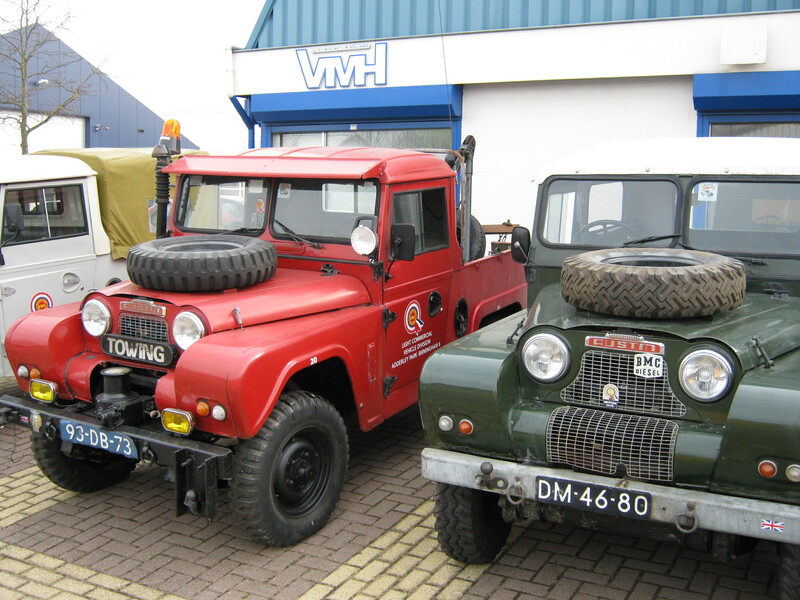 Keep those classic 4×4 vehicles on the road! 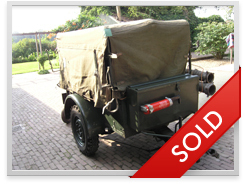 At the moment we have several Austin Gipsies for sale. Some are completely rebuild and some are in need of a rebuild. 1965 AFS Austin Gipsy exceptional condition only 4656 miles in 47 years! Complete with original Brockhouse trailer and pump.Everything is in working order, too good to be true. This is the best Gipsy I have seen in years. Price on application. Also we have a stock clearance for Austin Gipsy parts, if you are looking for anything for your Gipsy, you should act now while prices are low! We have loads of new and used parts for the Gipsy including the BMC diesel engines 2.2 and the 2.5 . Also the BMC 2.2 petrol engines. We have different Austin Gipsies for sale. Please do not hesitate to contact us. We are here to keep the Austin Gipsies on the road. If you are in need of anything for your Austin Gipsy or BMC Diesel engines just contact us and we will help you, wherever you are and whenever you want.